Hot off the presses! - SPARCinLA We are SPARC: Art | Community | Education | Social Justice SPARC | Social & Public Art Resource Center | Creating Sites of Public Memory Since 1976 | Founded by Judy Baca, Donna Deitch & Christina Schlesinger | SPARC is a community cultural center that creates public art as a vehicle to promote civic dialogue, foster cross-cultural understanding, and address critical social issues. We accomplish our mission by producing, preserving and presenting community-based public art. SPARC is a facilitator Ð finding ways to tell richly textured stories that help community participants and artists achieve a measure of change and transformation. ABOUT THE AUTHORS: Mario Ontiveros is the editor and a contributor to BACA: Art, Collaboration & Mural Making. An assistant professor of art history at California State University, Northridge, his research examines political transformation, empowerment, and social belonging. He holds a PhD in art history from University of California, Los Angeles. ● Anna Indych-López is an associate professor of art history at City College of New York and The Graduate Center, CUNY, specializing in Latin American modernisms and Latin American and Latina/o contemporary art. She is author of the monograph Judith F. Baca, UCLA Chicano Studies Research Center A Ver series. ● Andrea Lepage is an associate professor of art history at Washington and Lee University. Her research focuses on artistic production by U.S. Latina/o artists and investigates themes of erasure, retrieval, and cultural memory. She holds a PhD in art history from Brown University. ● Amalia Mesa-Bains is an internationally renowned artist, scholar, and curator. Throughout her career, She has explored Latina/o artists’ references to spiritual practices and vernacular traditions through altar installations, articles, and exhibitions. In 1992, she was awarded a Distinguished Fellowship from the MacArthur Foundation. ● Carlos Rogel is an interdisciplinary mural artist at the Social and Public Art Resource Center (SPARC), and a doctoral candidate at the UCLA Department of Chicana and Chicano Studies. His research at the UCLA@SPARC Digital/Mural Lab focuses on activist and arts-based methods of design and collaboration. 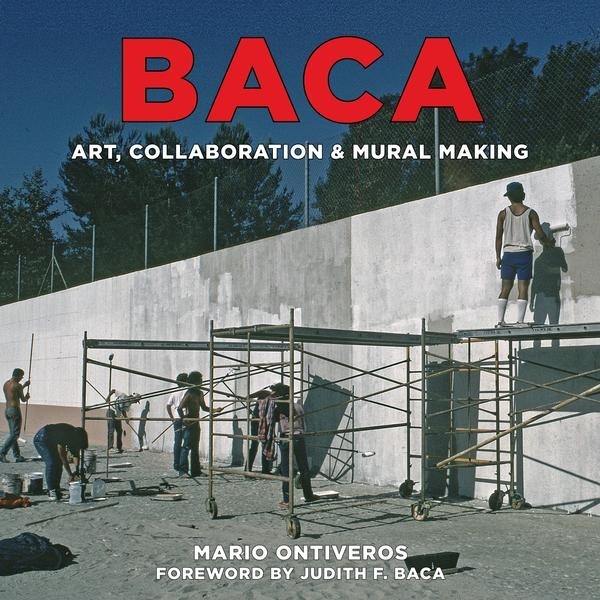 BACA: Art, Collaboration, and Mural Making is a companion publication to California State University, Northridge, Art Galleries exhibition: The Great Wall of Los Angeles: Judith F. Baca’s Experimentations in Collaboration and Concrete,curated by Mario Ontiveros; October 14–December 16, 2017. It is part of Pacific Standard Time: LA/LA, a far-reaching and ambitious exploration of Latin American and Latino art in dialogue with Los Angeles (September 2017–January 2018) at more than seventy cultural institutions across Southern California. Pacific Standard Time is an initiative of the Getty. The presenting sponsor is Bank of America.